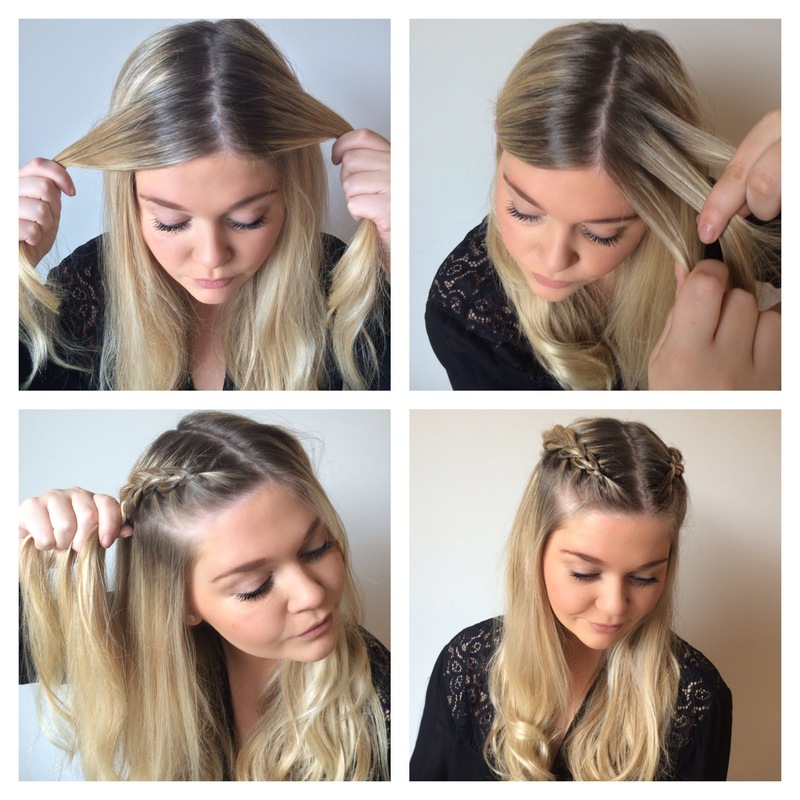 Just because summer is over doesn’t mean you have to revert to boring hair, keep your hair fun and pretty with these really easy plaits. Hattie is wearing a messy up do French plait which is great for day or night and is guaranteed to get you lots of compliments. People are always impressed with plaits because they look time consuming, when in reality they can be done so quick and easily! First roughly part the hair, you can try different partings to create a slightly different overall finish. Begin plaiting, taking smaller sections from the sides as you go. (french plaiting) I think it looks good if its not perfectly done so don’t worry about getting it spot on. This also works with a regular plait if you’d prefer. Continue plaiting until you run out of hair and secure with a clip. Then roughly tie the rest of your hair in a loose bun and secure with a bobble. 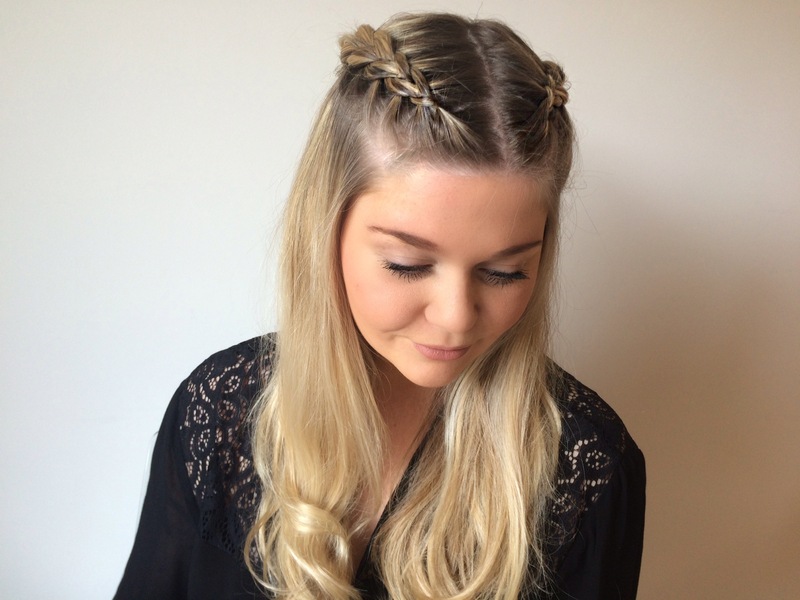 To give the ‘messy undone’ look, use your fingers to open up the plait to loosen it. I am wearing Dutch braids in a half up half down look which also looks great day or night, I have worn this look for formal black tie events and it looks really great if you add some loose waves to the body of your hair. It also looks great with a day look and as with Hattie’s look you are bound to receive lots of compliments on your hair with this style. You can do this look on just one side or both sides as I have done. First select two small sections on either side of the top of your hair. Place one side in an elastic band or clip out of the way and section your first side into three pieces of hair. 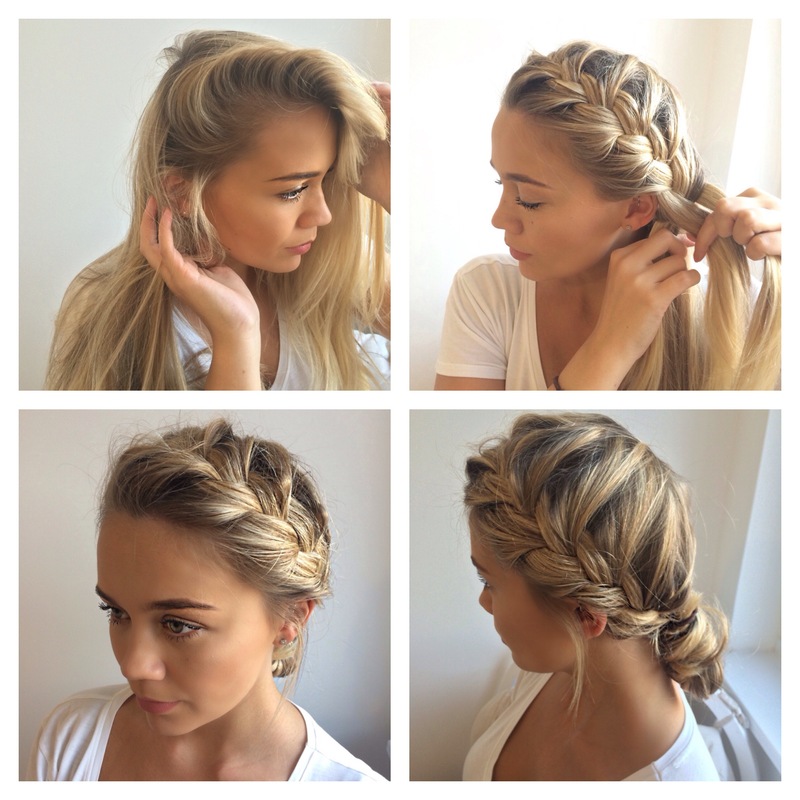 Begin to plait as if doing a regular plait, now add in one piece of hair form the side, adding it underneath your hair. This is like a reversed French plait. Continue like this, adding a new piece form each side alternately. Once complete, fasten in place using bobbi pins and repeat on the other side. Practice makes perfect with plaits and the more you do them the better and faster you will get, I find that doing a style like this is just as easy as a pony tail and much more appealing on the eye! Previous Over the knee boot..
Next My pregnancy journey so far..